The technicians at A Unique Heating and Air Co will satisfy any heating need you may have. 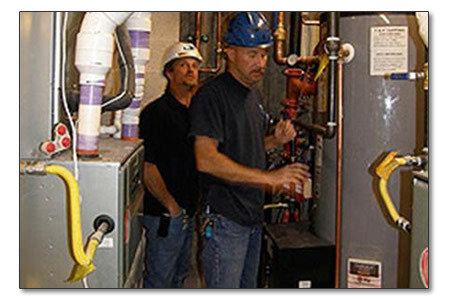 Our highly trained, experienced and certified heating pros are available for service, repair as well as the installation of complete systems or any task in between. Our goal is to reach the highest levels of assurance in each area. Please call us when you have a heating issue, a thermostat issue or a noisy heater. Our technicians are experts and extensively trained. We bring state of the art instrumentation, equipment and personnel right to your home. We can help you get the most out of your existing heating equipment or we can offer you new high efficiency equipment with top quality installations. Call us for a consultation on your furnace repair. In the Boise, Eagle, Meridian, Nampa, Caldwell areas, our experts will help you determine if you need a retro-fit, a replacement, a conversion or a new design.